Hi! I am Stella. My extended family and I run Thriftyfun. 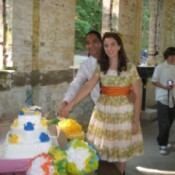 Thriftyfun is a homegrown business, started by my mother and my brothers. I am so proud to be a part of the Thriftyfun team. I enjoy being outdoors, dancing, music and making things. 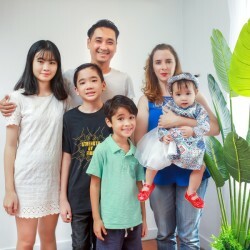 I strive to live a frugal and sustainable life and am always looking for tips to improve. Revamping a Kid's Lunch BoxMy son decided that he no longer liked his Spiderman lunch box and was refusing to use it in the new school year. I told him I could try and paint it, but I couldn't promise that it would be beautiful. 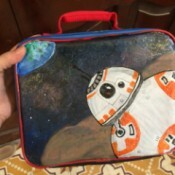 We worked out the design together and got to work on turning his Spiderman lunch box into a BB-8, from Starwars, lunch box. Halloween Mummy Jar DecorationThis is an easy recycled Halloween craft. 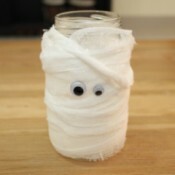 Use old glass food jars to make these cute mummy jars. You can put a candle inside or fill it with candy corn. 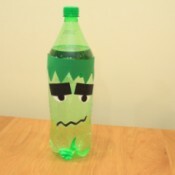 Halloween Frankenstein Soda Bottle CraftThis Frankenstein Sprite bottle is a fun way to decorate for a Halloween party. 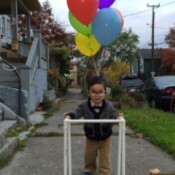 "Up" Old Man Halloween CostumeMy son was the old man from the movie "Up" when he was 16 months old. It was a fairly simple costume to put together. I was really happy with the results. 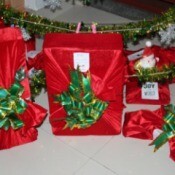 Fabric Wrapping PaperFabric is a great reusable wrapping paper solution. It is a sustainable and thrifty gift wrap choice. You have to spend a little more up front, but as long as you get most of the wrapping fabric back, you can continue to reuse it for years to come. Stick of Butter Outside of the U.S.
Do I Need to Baby Proof My Baseboard Heaters?